Start your highschoolers out right! Introduce them to high school literature study with our new General Literature course. 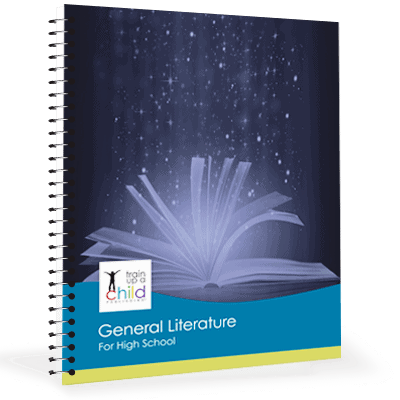 General Literature, specifically designed for ninth grade (or advanced 8th graders ready for high school work), gently introduces your student to high school level literature study. Your highschooler will read and compare great works from different genres including historical fiction, mystery, science fiction, and fantasy. Your highschooler will read powerful authors such as J.R.R. Tolkien, Mark Twain, Leo Tolstoy, Maya Angelou, Ogden Nash, Chaim Potok, H.G. Wells, and more, providing a variety of excellent writing styles. 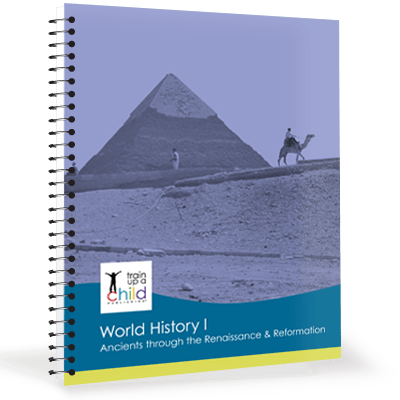 General Literature Sample (including Table of Contents, Introduction and first unit). Student book and Teacher’s Guide are in one volume, saving you money. General Literature is a one credit-one year high school course. And just like our other high school courses, its written from a biblical worldview. In General Lit your student will read poetry, short stories, and at least six novels. 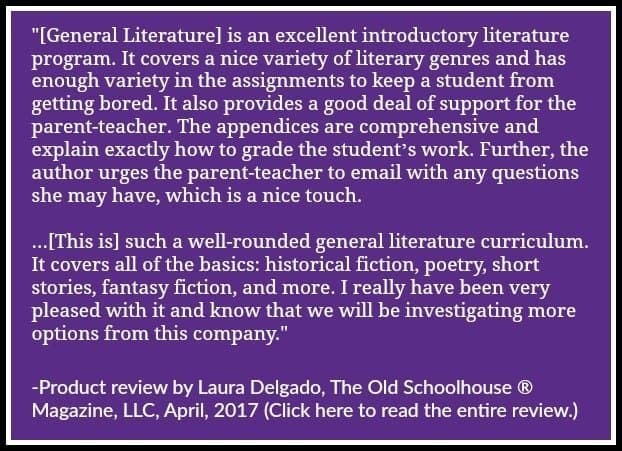 Although General Literature is written directly to students, it has evaluation tips, keys and grading rubrics for YOU, making it easy to teach and evaluate! 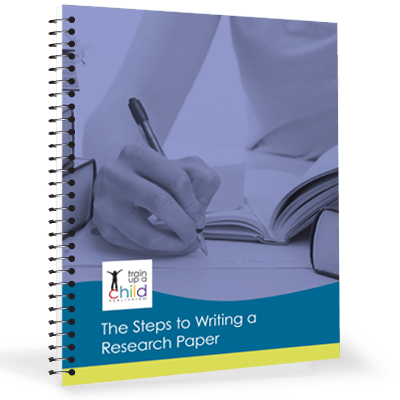 If you want your new high schooler to really hit the ground running, combine General Literature with Essay Styles. Essay Styles is our high school composition course that teaches the five basic essays written in high school. General Lit with Essay Styles is the perfect powerhouse combination to give your student the most solid foundation for high school literature and writing. *This course would also be appropriate for an advanced 8th grader ready to begin high school work. General Literature Sample (including Table of Contents, Introduction and first unit).